Kamal Bankay, Chairman of the Jamaica Carnival Stakeholders Committee, has given Carnival 2018 a perfect score. “If I were to grade what we did on Sunday we would get, based on our mandate, 10 out of 10, everything that we set out to do came out more than we expected it to happen and quicker than we expected it to happen,” he told Loop on Tuesday. He cited the astronomical growth in the parade size as one of the areas that exceeded expectations. The parade has grown from just over 2000 people in 2016 to 6000 people this year. Among the factors responsible for this, he said, were the introduction of new bands and fetes from established promoters that brought their own marketing, crowd and energy and added to the existing product. “The exponential growth can also be attributed to people recognising internationally that there is a move around Carnival in Jamaica now, it is coerced and coordinated and the Government is supporting it, and we have given it a space where we branded it and it is now a serious thing and we have more and more stakeholders to be involved,” he explained. The growth of Carnival’s popularity was seen in the hotel sector which saw all of the room stock in Kingston sold out along with home sharing platforms such as Airbnb. Minister of Tourism Edmund Bartlett said tourism arrivals increased in the first week of April and attributed the record 12.8 percent increase of visitor arrivals to Carnival. Bankay said by next year, Kingston will have an additional 600 rooms with the completion of three new hotels. Asked about plans to adjust the Carnival product to take advantage of the event’s popularity maybe by extending its duration, Bankay said they could look at new marketing options. 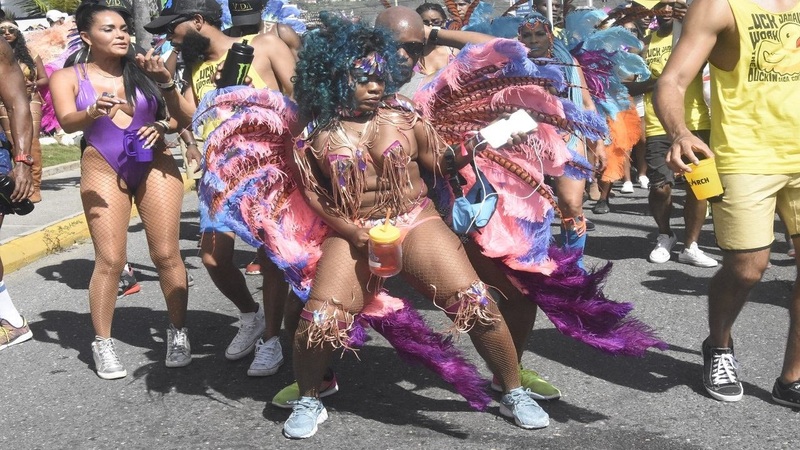 “The highlight season is 10 days but there are fetes that happen way before that literally from the time Trinidad and Tobago’s Carnival is finished. 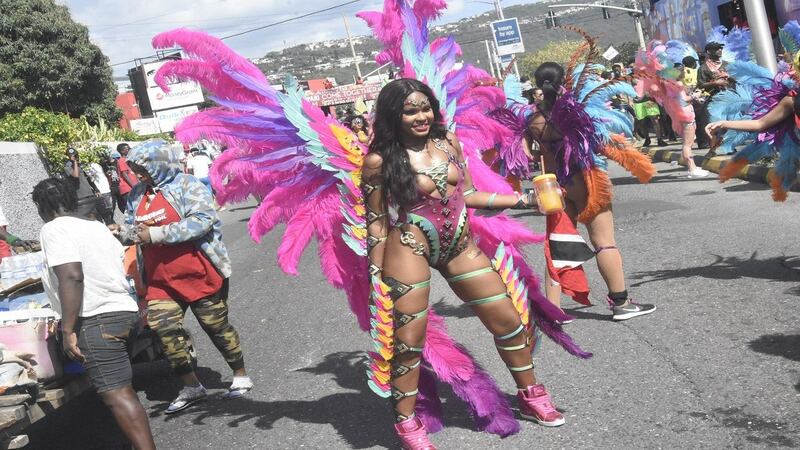 What we decided in our marketing with Carnival in Jamaica is to break out a highlight period to use and concentrate in the market, how we market to tourists,” explained Bankay who sits as the Chairman of the Sports and Entertainment committee in the Ministry of Tourism under which the Carnival commission falls. “We identify a particular travel window, for every country outside of Europe that’s eight days, for Europe it’s 17. That is optimal in reference to people getting time off from work and so on. So we put together a highlight period and said that’s what we will focus on. But as the strength of the events before that begins to grow we can explore extending that period if we see we have an opportunity to bring in international tourists in that period,” he said. Asked about any improvements on Carnival day such as one route for the bands, Bankay said this year they decided to come together and share the same route after lunch along the main spectator zone. 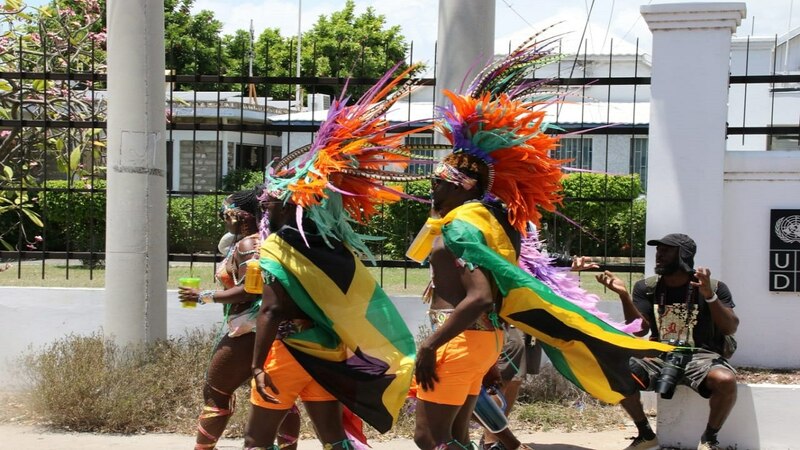 It is believed by many outside of Jamaica that since the Carnival does not have deep historical roots that is it not a national affair but a niche event targeted to tourists and uptown Jamaicans or those with money. Bankay countered this notion, stating that the involvement of the Government does make it a national event. “With the inclusion of this carnival committee and the big launches we have done last year and so on and the ministers and government putting on a launch I believe that is a signal that they have said this is a national product. When you have the Minister of Tourism Ed Bartlett and the Minister of Gender, Culture, Entertainment and Sport, Olivia Babsy-Grange coming together and launching a carnival product, it signifies that it is national and I think that this is what people have seen internationally and said Oh, Jamaica serious about this now,” he said. He pointed to the fact that there are Carnivals that exist in different areas in Jamaica, including Ocho Rios which stages a Carnival parade on Easter weekend. He said the reality is that participating in Carnival as a band owner is prohibitive. “Jamaica is not a wealthy country and there are barriers to entry to playing mas which we are trying to address. It is very expensive to put a truck on the road, it is very expensive for a masquerader to participate and Jamaica doesn’t really have a big middle class so it is a little hard to get persons from a lower socio-economic bracket to produce a carnival cause they literally can’t afford certain aspects of it. So because of that a lot of the entrants would have difficulties being on the road but there are there as spectators because there is an interest in it,” he said revealing that they are looking at partnerships to reduce the costs for the average Jamaicans. 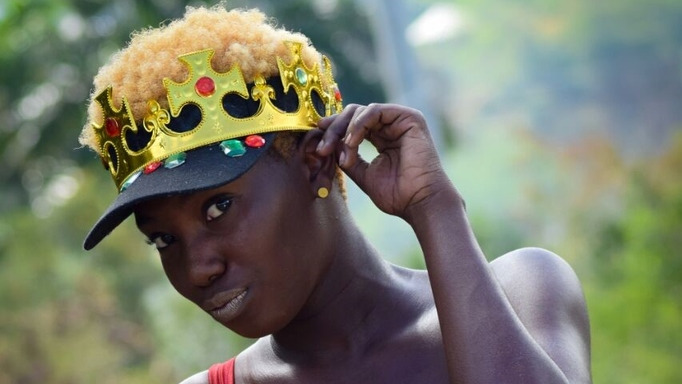 Addressing concerns by some Trinis that Jamaica is stealing Carnival, Bankay said they are simply trying to put Jamaica on the map for the Carnival/Soca touring that begins in T&T. “In terms of engaging the tourists especially from the diaspora, we are putting ourselves on the map. We must be a force to reckon with commensurate with brand Jamaica. If Jamaica is doing a Carnival, it must be commensurate with our brand we can’t do something half-assed. The goal is also to utilise that brand and build Carnival in Jamaica in a ridiculously big way and in essence expose other people to the Carnival product that may not have necessarily been to Trinidad ad they may get interested and start to tour around, so we want to introduce newbies to the Carnival product and increase the pie,” “he said. “Jamaica exports its music culture all around the world. When we go to Trinidad outside of Carnival, it’s just dancehall, that’s it. So we share our music to Germany, Japan, Australia, the UK, North America, we export our music culture and that has paid off dividends to our entertainment industry times a thousand.